Next-generation supercomputers are expected to consume tens of MW of electric power. The power is expected to instantaneously fluctuate between several MW to tens of MW during their execution. This fluctuation can cause voltage drops in regional power grids and affect the operation of chillers and generators in the computer’s facility. Predicting such fluctuations in advance can aid the safe operation of power grids and facility. Because abrupt fluctuations and a high average of consumed power are application-specific features, it is important to identify an application before job execution. This paper provides a methodology for classifying executed jobs into applications. By this method, various statistics for each application such as the number of executions, runtime, resource usage, and power consumption can be examined. 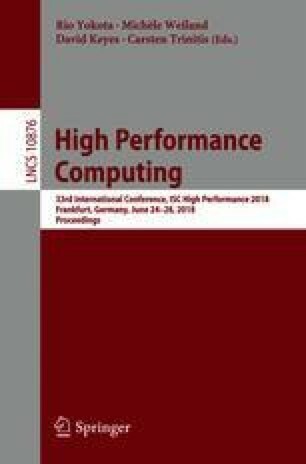 To estimate the power consumed because of job execution, we propose a method to predict application characteristics using submitted job scripts. We demonstrate that 328 kinds of applications are executed in 273,121 jobs and that the application can be predicted with an accuracy of approximately 92%.